I thought it would be worth looking at two types of garishness at London 2012. Garish is defined as obtrusively bright and showy. Synonyms: gaudy – showy – loud – glaring – flashy. I think that the official Russian Federation Olympic uniform and the GLA volunteer London Ambassador’s uniform both qualify. I thought it would be worth interrogating what sort of garishness it is and how it functions in both cases. What does this garishness communicate, what does it communicate in each case and why. 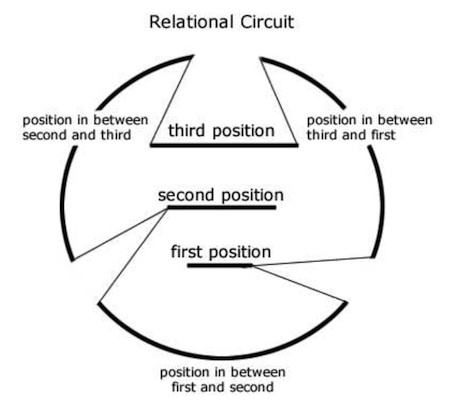 The conclusion would be that once we start to look at the different communication contexts, we can better see that the garishness performs different semiotic functions. Russian Federation track suits by Bosco. They have been polarizing. Certainly, in the UK, when the first Russian athletes arrived at Heathrow in late July, they were slated by the press who interpreted them as an example of shameless 80s retro, evoking stereotypes of tasteless tracksuits, mindless away kits, insinuating unpleasant things about Russian taste. A friend of mine was roundly lampooned by his friends on his Facebook profile for having bought one as an ironic souvenir of his trip to the Olympic stadium. It was described as ‘minging’, and another quote described it as “the single worst piece of Olympic fashion” and “pikey sports kit”. This is a predictable English reaction based on our design prejudices that lean to sober and understated design leavened with a good deal of class hatred. I do wonder what Russians think of it? It seemed that the Russian athletes stepped out into the stadium with great pride and apparently it has been a popular fashion accessory back home in Mother Russia. Unlike other tracksuits this one uses an ornate patterning device that catches the eye. The pattern is immediately identifiable as having an oriental, Levantine from my best guess, probably Ottoman influence. Matching the red stripes on the sleeve and waist is a sumptuous tangle of curlicues, paisleyesque, roseate and heraldic motifs all deftly interlinked together in a rich tapestry. According to my Russian colleague Masha Papanthymou, a main reference in the design is an ornamental so called 'Turkish cucumber', with Persian or Indian roots, which has of late become quite popular in visual culture, in a 21st century Russia still trying out new identities. It has been popularly used in kerchiefs and scarfs and used by designers such as Denis Samichev on i-Phone covers as a nascent sign of Russianness. Natasha’s Dance by Orlando Figes discusses the perennial oscillation in influence between European oriented St. Petersburg and Asiatic Muscovy. Figes comments on the sympathy for all things Oriental in the Russian bourgeoisie in the 19th century: “the significance of the Eastern trace in Russian art went far beyond exotic decoration. It was testimony to the historical fact of Russia’s descent from the ancient cultures of the Orient.” (p.392). Vladimir Stasov researched the influence of Persian and Mongolian motifs in Russian lettering in Church manuscripts showing that Russian scribes had adopted nearly all of the rhomboids, rosettes, and checkered patterns later osmosed into Russian folk visual culture. 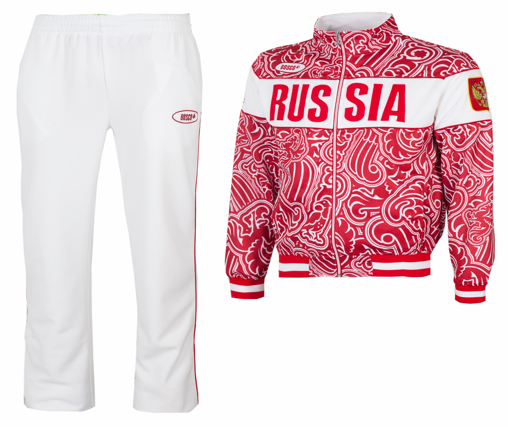 So we can see from a Russian perspective that this track suit is not just kitsch Soviet retro; it is a fecund inter-textual reference to Russia’s history. Something similar has been happening in Turkey with Ottoman motifs in the last few years – becoming more comfortable with celebrating this through scarves & interiors. What I like about it is that whilst it does play to a Russian love of grandiloquence and sentiment it also expresses something unique about Russia totally absent in the insipid anonymity of the horizontal Russian tricolore that will probably be forever associated with topsy-turvy transition period after the 1991 coup and short lived CIS. As emblems, the bear or phoenix would be too vainglorious, so the sumptuous red with white tessellations smuggle in what a condensed symbol would do rather too overtly. This is reinforced by the bold lettered sash RUSSIA across the chest printed in grand, vertically imposing lettering. This is a new and interesting expression of Russian soft power and the team’s decent medal haul at London 2012 would have made this clear. Certainly Putin was a keen cheerleader for Russian success at the Games. The promotional imagery on the Bosco website, blonde Russian athletes, gazing Social realist style across the wheat fields of the steppe also shows a clear and proud rhetorical thrust. 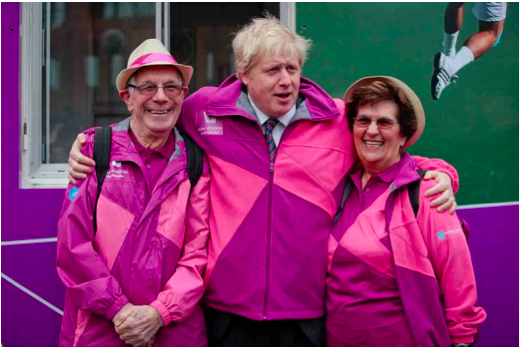 This analysis will continue in Part 2 with a look at the UK’s own take on garishness – the Team London pink and magenta Ambassador’s uniform. Food voyeurism seems to be a global phenomenon going purely by the number of food related shows from all over the world that are on air. In India we consume them all with gusto. Never mind if most us in India are totally unfamiliar with many of the ingredients and certainly have no idea what a terrine or a béchamel sauce may be. Unfamiliarity with an Enoki mushroom does not keep us from participating in the drama surrounding it on Masterchef. We are learning how the other side eats and we are learning to consume food visually. Food presentation is something fairly alien to us in India. The kormas and the curries are just one mass which see nothing further by way of presentation than garnishing with finely chopped coriander. Even in garnishing the repertoire doesn’t extend beyond coriander or perhaps coconut and on a really good day it could be fried onions, all on a consistent background color varying between pale yellow to reddish yellow. 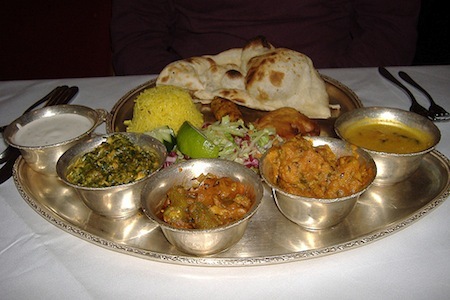 Compared with the food art that other cuisines are given to, Indian cuisine can be described as visually limited. This visual poverty seems a little odd for a cuisine that uses a rich array of spices and has a multiplicity of expressions, with each region having a rather complete & distinctive set of offerings. 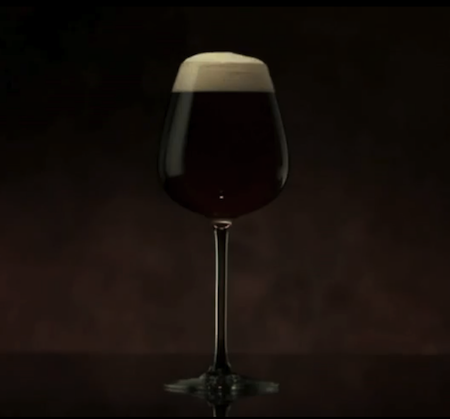 It is rich and imaginative in every way except that it refuses to romance the ingredients and will not dress up charmingly to lure the diner. A carrot will submerge its identity amongst five other vegetables and no vegetable will attempt to hog the limelight by posing as a flower. Food on the table is good enough. It does not need hard sell. For a culture that believes each grain is a manifestation of god, demanding that food look pretty would be blasphemy. 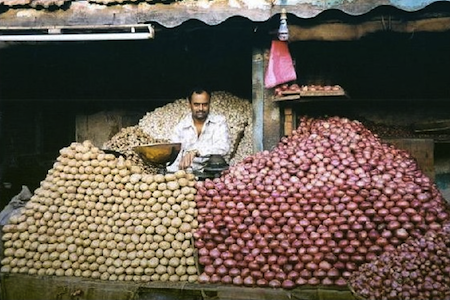 Grains, vegetables, spices themselves are treated with respect even in a busy bazaar. They will all be washed and polished and arranged into geometric heaps. Every transaction with the customer disturbs this arrangement but it is carefully restored. It is much less efficient than simply putting it in a heap or displaying fruits & vegetables in a cardboard box. Food demands respect. The equation between the diner and the food is fairly clear. Food does not have to try too hard. In fact it will be romanced by ornate containers. The only points of embellishment are the plate and the containers. The great Indian thali does not woo the diner but the food itself. A saint was bathing in the Ganges when he came across a group of family members on the banks, shouting angrily at each other. Smiling, he turned to his disciples and asked them why these people should be shouting in such a way. Nobody could provide an answer. "But why shout at a man who stands just a few feet away? One might just as well tell him what one has to say in a more gentle way", the saint went on. "When two people are angry at each other, the distance between their hearts grows. To cover that distance they must shout to be able to hear each other. The angrier they are, the louder they will have to shout in order to bridge the great distance between them. And what happens when two people fall in love? They don't shout at each other but talk softly, because the distance between their hearts is very small, or does not exist at all." 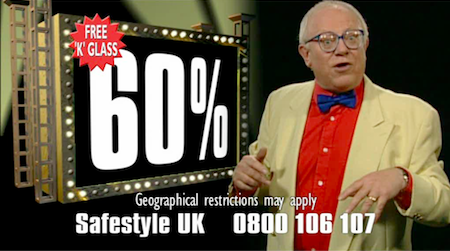 When I was growing up in the UK, there was a series of ads for Safestyle Windows in which a nattily dressed and strangely ageless gentleman would puncture my enjoyment of Countdown to tell me that I would be just mad to pass up his unbeatably-priced uPVC double-glazing. Eagerly awaiting the next numbers round and less than convinced of the functional and emotional benefits of purchasing such a product, I would wisely turn a blind eye. Besides, the guy was always shouting at the top of his voice and didn't come across as a wholly credible recipient of what would have been nearly an entire month's pocket money. The Safestyle ads have recently returned to our screens in UK, but alas they now lack bite in comparison to the operatic excesses of Go Compare's Gio Compario. For several years now, UK television audiences have been bombarded by this masterpiece of the irritating squall, arguably the single most annoying campaign of the century so far. To those readers in other parts of the world who remain ignorant of Gio's decibel-crunching vocal delivery: how we envy you. For heaven's sake, don't follow this link. But the Comparioseries is not merely annoying – it actually sounds louder than the ads which show before and after it. It literally shouts over the top of anything you might be doing, saying or thinking. Online sources suggest that the series has been a resounding success for Go Compare, as hapless audiences struggle to rid their minds of that refrain. As ever, the lack of a control makes it impossible to measure how much of this success is down to the intricacies of the campaign rather than the huge media spend itself, but brands looking to follow suit would do well to think twice before reaching for the megaphone. As our Hindu saint divines, shouting is inherently antagonistic and alienating. 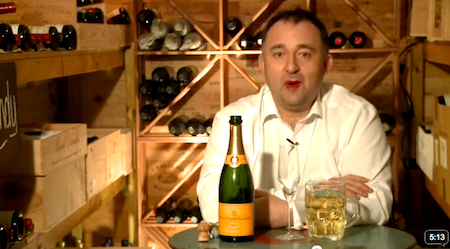 Few things say 'I don't care about you' like a raving monologue. Indeed, as if to illustrate the metaphor, a new instalment in the Compario series sees a vengeful neighbour (played by the nation's own Sue Barker) blowing up the protagonist, as the verbal aggression of earlier episodes inevitably escalates into actual physical violence. No doubt disciples on the banks of the Ganges were at some point also schooled in the other great signified of the shout: madness. If not, they need look no further than the sports betting category, where the shout is fast being adopted by all-comers as the register of choice. 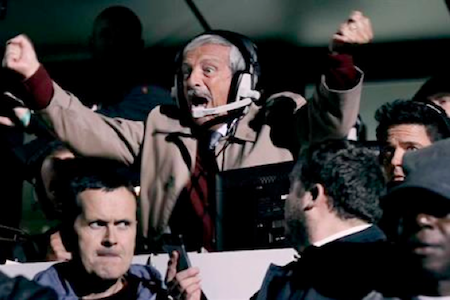 Ladbrokes leads the way with the grotesquely exuberant wails of real-life football commentator Tiziano Crudeli, whose screams of "2:1, 60 minutes, 2:1!!" understandably leave fellow match-goers perplexed. In my Countdown days, I could sleep easy in the knowledge that Safestyle were the crazy ones – for offering such recklessly low prices. But in this latest series of ads it is we the public whose madness is presupposed and indeed encouraged. Without any intrinsic benefits to communicate, the plan boils down to this: act crazy and hope it starts to rub off on everyone else, in an open invitation to us all to lose our minds in a great, mad carnival of negative-gain consumerism. Technically, one might say that the shout serves as a means to disavow the voice from the message it delivers, cleverly diverting the audience's attention away from the impotency of the latter in the process. One might also suggest that for all their bluster, there is a certain desperation in these ads, as they make a tacit (well, actually very noisy) confession of their own absurdity to the high priest of advertising. 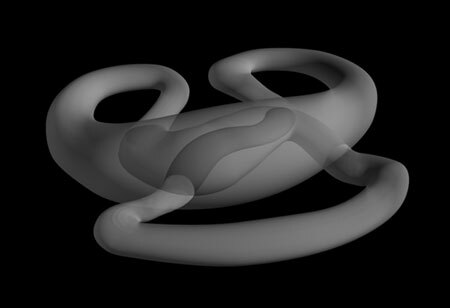 You are currently browsing the Semionaut blog archives for September, 2012.